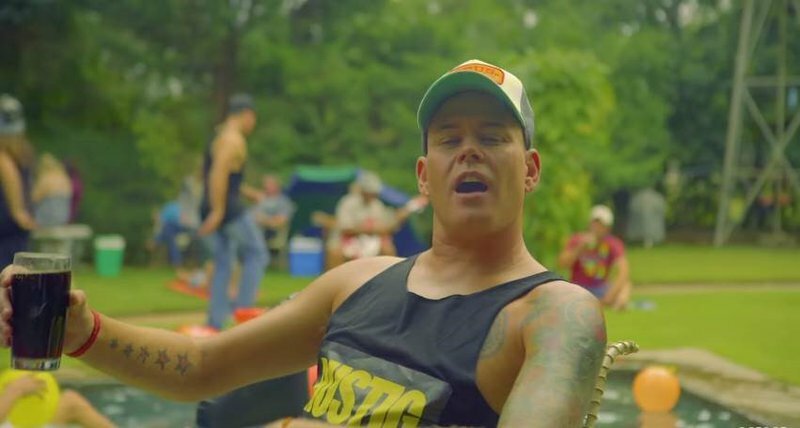 Snotkop's catchy 'Raak Vir My Rustig' single has us wishing it was weekend everyday! We cannot stop singing along to Snotkop's latest single! If there is one thing we know, it's that South African superstar Snotkop knows how to bring the hits! With a number of albums, a string of hits and a large fan base of screaming girls, Snotkop is a force to be reckoned with. If he isn't making headlines for his controversial music videos such as 'Hoe Lykit', he's performing to sold out concerts around South Africa. His latest single 'Raak Vir My Rustig' is no doubt on its way to becoming a radio chart-topper. With already over seventy thousand views on YouTube in just four days, you'll definitely be adding this track to your playlist. The video sees a number of characters chilling and having a good time. Much like the song states, it's all about having a good time and 'chilling'.